As I mentioned in my last post, I've been working on my big quilting project of the year: a 69x90 inch quilt. All the fabric has been cut. That means I've started sewing! My grandma has been interested in what I'm doing, so I've moved my sewing machine and supplies to her house, so she can hang out and help a little as I work. She can't wait to see the end result because she swears it's going to be one pretty quilt, and I can't help but agree. I've put together one block (there's six of these). I really enjoyed doing the Flower Star and they came out pretty good. I didn't make too many mistakes either. And then, there were the Flying Geese Stars, the second block I'm to make. Although I know I did everything right, nothing was turning out the way it was supposed to. I have no idea what I was doing wrong or why it wasn't working and turning out the way it should. But I kept powering through, even though my frustrations kept rising. My grandma, as it turns out, is a bit impatient. She wanted to see at least one finished block and this block did seem to be taking for-freaking-ever. 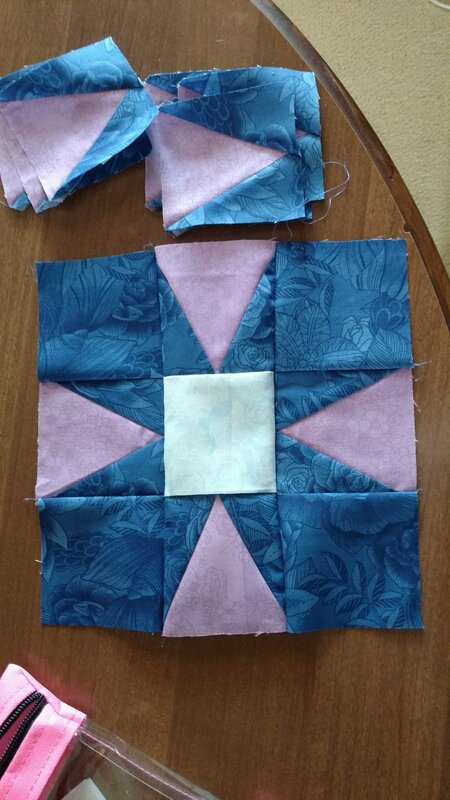 So, I started gathering what I needed to put at least one Flying Geese block together and I was really getting pissed because I realized this block was not going to look as pretty as my first set of blocks. And it doesn't. The rest might not either. I still don't know what I did wrong, but it's okay. This is my first intermediate quilt (and I've only done one beginner quilt), so mistakes were bound to happen somewhere. All I know is I learned when frustration sets in during this hobby, it's most definitely time to stop and take a break. Once I finished putting that block together, I didn't even want to think about doing the rest or the rest of the quilt for that matter. Therefore, I'm on a little sewing vacation right now, but I'll get back to it sometime next month, I'm sure. I've made progress on the quilt, so I wanted to post an update. Are you working on anything right now? 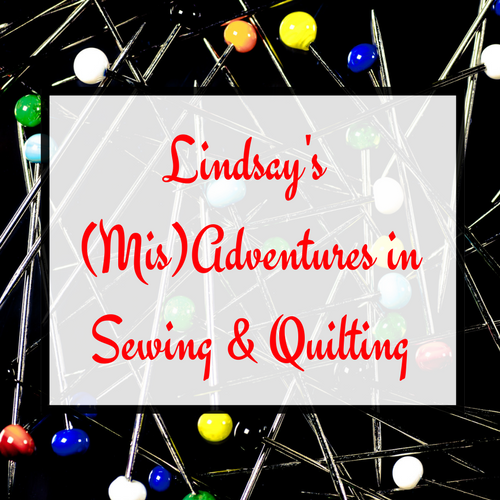 Be it a sewing/quilting project or with another hobby? Let's hear about it!